Sitting in silence, closing our eyes & ears, as demonstrated by Gurudeva here, let’s meditate upon His divinity, with His Music for Meditation silencing our minds. Taking flight in such contemplation, let’s unlock the mysteries of life. With humble pranams to His Holiness, who is Raga Ragini Devi Swaroopa, Jaya Guru Datta. Your Puttuji. Guroh parataram nasti tasmat sampujayed Gurum !! Raga Ragini Devi Swaroopa Our Sadgurudeva !! How we come to a perfect mind? perhaps it is a little bit education, perhaps we bring it in this life. perhaps it is a combination from both. I think, for me it is both: there is something in me, which comes from time to time in my mind. But then is here a very very important thing: all what I have brought in this life must come in my consciousness and must be developed to a next state. And here I need the help from Swamiji. He let make me experiences which are important to understand and to clear more and more the mind. Swamiji is my father and my mother, He is educating me that my mind can clear. It is a big big gift, that I have in this life a Guru like Swamiji, that I can develop so much. I am very very thankful. Thank you Swamiji!!!!!!!!!!!! Jgd.A perfect MMS at the end of a CENTURY of Sayings,a deep thought to be given to understand this MMS.Training from the Guru,the inherent thirst to know by the Devotee culminates in understanding such one.Now who has perfect mind.A mind that always in the bliss of knowing of GOD,or a Mind that belongs to an Avathara?Yes, the Human that turns into a saint has a past which has blemish,so An Avathara in the form of Human will have this quality of perfect mind.Unlocking the mysteries of Life is act of seeker,He who knows who is He can understand about the other. may I with the help of my beloved Sadguru cultivate a steady mind. A mind that is capable to understand His teachings and integrate the knowledge in my life. Prostrations to Saraswati. Let us train our minds to be perfect under Sadhguru’s guidance. when my mind is calm and serene it is easier for me to see the things as they are. They appear befor me as very simple and undramatic and are not distorted by the way I perceive them. I have no idea how a perfect mind percieves the worlds, maybe it´s not perceiving, but rather being the things and in being the things lies that wich connects all or better sees everthing as one thing. Please, Sri Samiji, help me to perfect my mind. Our Sadgurudeva’s perfect mind has not only unlocked the mysteries of life, but his compassion has given us all a passport and a visa for an entry into a world that is beyond those mysteries. He has promised to take us all there. That is the purpose of his birth. Appaji’s perfect mind has ready answers for all the issues that we consider as mysteries in this mundane worldly life. With his pure mind he has solved all the puzzle of life. Why am I ill? It is a result of your past sins. Why am I being ill-treated, although I am a good person? You had ill-treated someone in your past life and are now paying the price for it. Why has my son chosen a path different from what I had planned for him? He has to follow his own destiny, not what you have chosen for him. Why do people die? Because they have to grow and move on to the next level, like a student finishes school and goes to college. Why have I suddenly come into riches? It is a reward for your past good deeds. You cannot escape or avoid it. Why do I have bad feelings? It is a residue of your tendencies carried forward from your past lives. You have to get rid of them by spiritual practices that will cleanse your mind. Why was I born? You had asked to enjoy certain pleasures. God has granted your wish. Why do others not believe that you are a true Guru who is equal to God? Only those whose sins have been destroyed to an extent can recognize a guru. Others will not. Once Swamiji, with his clarity of vision lays bare the facts before us, life, death, illness, misfortune, wealth, fame, talent and all other mysteries in life cease to be mysteries anymore. Once we know why things are happening the way they are, our anxieties are dispelled and we feel at peace. We can then accept things as they come, with equanimity. Slowly our minds also begin to get perfect. That is the immense grace of our Sadgurudeva. Sri Guru Datta. Sri Swamiji’s music certainly helps me to relax my mind and better focus on the tasks at hand. I particularly like to watch Sri Swamiji’s DVDs when I feel out of whack, so I can experience His Darshan and feel energized again. Jaya Guru Deva Datta!!! JGD. Mind devoid of unwanted thoughts in constant contemplation of Sadguru would certainly be the perfect scenario. 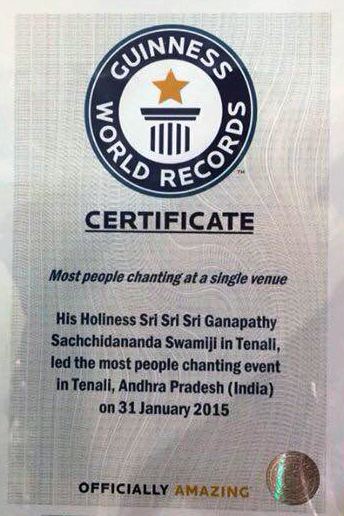 Difficult as it is, I believe that only with great personal effort and Sri Swamiji’s grace this can be achieved. I pray to my incomparable Master for the ability to accomplish one pointed concentration. Let my thoughts rest on His Lotus Feet. And over come all difficulties in life. Appaji always says to think how are you. JGD. Thanks Puttuji for your continued enlightening commentary. May we be so cleansed always! JGD. JGD! Oh Sadgurudeva, many times I feel like taking a step back, being overwhelmed by my monkey mind. I pray to You to continue supporting me to calm down my mind and to direct it towards the meaningful topics. I hope to decode the mysteries of life like melting away the snow to see what’s hidden underneath. Sri Guru Datta! Sri Swamiji helps us to decode the secret. He has all the keys at hand which can help us to unlock the mysteries of life. He helps us to purify our minds until they become perfect like a crystal. Silence is golden. The purpose of this MMS is to make us reflect upon Pujya Gurudeva. Appaji has said many times, think of me and meditate upon me and lose yourself in me. You subconscious mind will then connect with Pujya Appaji and you will see the path to the solution to your difficulties. You will also get the courage to tread that path. The mind needs to be serene. A confused mind cannot think through solutions. Pujaya Gurudeva makes it easy for us to concentrate upon him. We just need to listen Gurudeva’s music and let it reign over our sense. We are transported to a different plane, a plane in which Sadgurudeva is able to treat us more effectively. Thank you so much Pujya Sri Sri Sri Swamiji for your love of humanity and compassion for it. I want to remain indebted to you in all births, always be your true devotee in each. Sri Guru Datta !! We lay person always in confusion looking for answers with so many whys ? With his perfect mind will show how to open the door inwardly. Jai Guru Datta. sri Gurubyo Namaha. Thanks a lot for this wonderful MMS. Jgd!! !wonderful explanation puttuji.Appaji always gives answer for my doubts in some r other way this is one example… Thank u very much appaji for this valuable MMS..Appaji;s words will be sweet and simple.It was said that all people cannot understand the value of GURU,thats ultimate fact,and lots of pranams to lotus feet of Appaji for for blessing me to be near his feet..
Om Namo Hanumate Namah ! This message of Sri Swamiji infers that one has to possess the perfect mind meaning strong determination and clear insight and understanding. Those of us who crave for such a blessing are eager for such a grace from our Sadguru. Jai Guru Datta Appaji – A perfect mind is like the TV screen that does not burn while showing images of fire, doesn’t get wet while showing images of oceans/rains/floods etc. We yearn for such a state of mind – which is verily You! While wondering how it is possible to develop such a state of detachment – in other words a ‘Perfect Mind’, I had a vivid memory of 1999 Devi Navarathris. I came back from work on the night of VijayaDasami (10th day) at almost 11pm and realized that I have not even prayed properly to Appaji and Devi through the 9 days of Navarathris – due to work-related pressures. I took a shower at 11pm and took the ‘Bhajana Mala’ (Telugu Bhajan) book and sang 100’s of Appaji’s bhajans that I knew the tune of… there was an inner force that urged me not to stop and gave me more and more energy to keep singing… and around 5am, I heard a distinct Buzzing sound in my right ear for over 2-3 minutes (which I later found out was the Buzzing bee sound of Muladhara Chakra). I was quite surprised and shocked to hear this sound for that long…. I suddenly became quiet and stayed in meditation for several minutes. I have never before experienced that state of a ‘calm’ mind – which was not analyzing the Sahitya (lyrics/words) or Sangeeta (music/ragas/talas etc) of the Bhajans… but just kept singing and let the ‘Music flow through me’. It was one of the most ‘PERFECT’ state of the mind that unlocked some of the mysteries of this Universe. Pujya Appaji – Thanks for blessing me with such a Divine experience through your ‘Bhajans’! Forever grateful! Sri Guru Datta. In today’s MMS, Appaji is saying about perfect mind which can be obtained by sitting in silence and close our eyes and one side of the ear and listen to His divine healing music which will help us for meditation and lead to spiritual path. Appaji’s photo in this MMS is very apt for this. The word Silence has got great inner value. Even in our day to day life if we practice silence for some time it will help us to reduce our tension which is common in everybody and there by our body will keep normal to certain extent (2) our concentration will increase that will lead to our spiritual path. Those who are going regularly to Mysore ashram during functions or otherwise The first lesson Appaji teach us to maintain Silence in the PrayerHall as well as in Ashrama complex. To my experience I associate with Swamiji for the last 30 years and by His blessings Iam able to attend all the main four function in our Ashrama in an year till this time. Due to this Appaji has trained us to learn silence also. This has helped us to get more concentration day by day which lead us ultimately to the spiritual path. Thank you Appaji for giving us such a wonderful MSG and we will continue to follow Silent to get Perfect Mind.JGD. Jaya Guru Datta – perfect mind unlocks the mysteries… great quote. ok – now the perfect mind – where is it? how do we find it? how do we know, if ours is one? how to attain that, if we dont have it… ohho – lot of questions? why worry? just concentrate on what Appaji tells us and put that to practice – ours will automatically be the perfect mind… That is another benefit from Sadguru Deva – you dont have to take on you, the problem of yuktaa yukta vichakshana – all that you have to do is ‘JUST FOLLOW HIM”. He has already made all the paths ready and is waiting for the disciples to check and pick the path that is most suitable. Once we are in that path – as the mind is perfect, that will unlock the mysteries – what is the mystery that is most sought? WHO AM I? before which we should worry about WHY AM I? the purpose is learnt and then the WHO? Even the most complex question becomes the simplest when we follow HIM – lets just plunge and follow, so that we unlock and enjoy!!! You have, with your perfect mind, unravelled the mysteries of Life. All we need to do is with discipline listen to you, contemplate on Truth , listen to our inner sound and become one with it. This is what I believe you are also demonstrating to us. Namaste Puttuji, nice video. A perfect mind unlocks the mysteries of life. Mystery of life is liberation. One can attain perfect mind only through Sadguru’s grace and following Master sincerely. Only the perfect mind which has no distractions, attachments, can achieve liberation, becoming one with Sadguru. A perfect mind gets immersed in the divine music of Parama Poojya Sri Ganapathy Sachchidananda Swamiji just like He is shown in the video. Thank You Puttuji. Namaste. All of us know the fact that the mind is the source of our thoughts, either good or bad. If bad thoughts are in the mind they are projected out as bad actions. On the other hand if good thoughts develop in the mind, then there will be good actions. In spiritual journey we need to have a perfect mind. A perfect mind is one which does not get influenced by any external distractions. It remains focused on the Self. Once the focus is on the Self, the mind starts to slowly unlock the mysteries of life. These mysteries when realized, lead us to liberation. But, how do we develop a perfect mind? This is possible only by the guidance of a Sadguru. HE knows how all our minds work. Accordingly HE will guide us and train us in achieving a perfect mind. Pujya Sadgurudeva by way of HIS bhajans, healing music, speeches, yoga etc, trains our mind and helps us unfold the mysteries within. I beg Pujya Gurudeva to guide us all in attaining a perfect mind and realize SAT-CHIT-ANANDA within. Jaya Guru Datta! Welchen Frieden das gibt! Wie wunderbar zeigt dieses MMS auf, worum es geht. Liebster SWAMIJI, DICH zu sehen und zu hören gibt meinem Mind Ruhe und Frieden. Ich danke DIR. a perfect mind – seems to be a great mystery to me. is sri swamiji thinking or meditating ? is a perfect mind that silent mind being able to think as the universe thinks (as the sufi-master pir vilayat used to say) ? far from being able to calm the mind I know that there is no other way than practising practising practising and develop that full unshakable faith in our beloved sadguru. it is by His grace that we are able to practise and it is by His grace and power that what we cannot reach with our own efforts will be accomplished one day. the picture of the still winterlake reminds me of the times when I used to go to a small very beautiful little lake on cold winter mornings to take a very short bath. maybe there was a moment of no thinking when the body touched the icy cold water … those times at the lake whether in winter, spring, summer or autumn (especially in the winter silence) were of the happiest times in my life because I often felt sri swamiji very close in the beauty of the place, in the singing of the birds, the rustling of the wind in the trees and the serene silent surface of the water. The MMS invokes Goddess Varalakshmi and ends with Santaya Namaha — we pray to Goddess Varalakshmi to grant us with a peaceful mind.Unless we have a peaceful mind, we cannot enjoy or experience anything to the fullest.. noone wants more sadness, we always try to get away from it and crave for happiness…because our true nature is happiness. For that true happiness we need to purify and understand our mind..
thoughts will come and go, but our sadhana should be continued. The thoughts are like waves, which emerge in the ocean and then end in the ocean itself. Thus by understanding the mind, we can stablizie it and control it. Once mind is understood, everything else starts to become clear. The understand and purification of the mind to a peaceful state can only be achieved by Appaji’s grace and constant listening to His music and implementing atleast one of these divine MMS! Thought provoking message….. There are many thoughts which are mysterious because there are no logic or answer for such thoughts. Mind has millions of thoughts and caught affix between right and wrong, good and bad….. May lord bless us all to unlock all mysteries in life.